You may wonder why it is called geographic tongue. Many questions will linger in your mind as you first encounter these words. Honestly, I too was surprise when I first heard this. Many thoughts will enter your mind and you may feel confused about it. You may think of places in the map or search it on Google map. The amazing twist for this is- this is one kind of a disease. 1 What is Geographic Tongue? Benign Migratory Glossitis is commonly known as geographic tongue or wandering rashes of the tongue. It is an inflammatory disorder on the dorsal surface of the tongue characterized by numerous and continually changing areas of loss and regrowth of the filiform papillae. Its appearance is like a map and with a similarity of an archipelago because of the irregular patches present. It widely affects our population about 2-3%. The good thing is it doesn’t represent oral cancer (sigh relief!). The person affected may feel burning sensation in his tongue and there is a little belief that there is no cure for this inflammation. Studies are still on going for this. 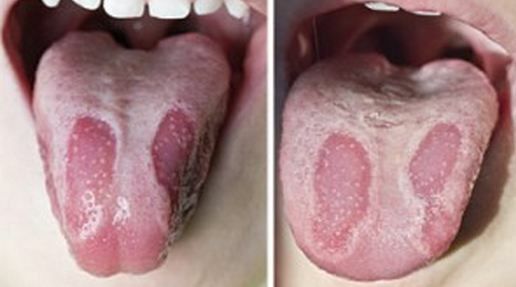 This is a harmless condition and the lesions usually heal one at a time and moves to other parts of your tongue. It causes some discomforts sometimes. It is common in women with higher rates of manifestations of signs and symptoms. They become more sensitive to hot and spicy foods. These are the usual signs and symptoms of that an affected person manifested. Diagnosing this condition depends on the manifestations of the patient since this is connected with other oral conditions. They will based it on the migratory patterns manifested by the person. Biopsy is also done to distinguished glossitis from any other conditions.